It was with delight that my wife and I accepted a kind invitation to a private dinner entitled “A n evening with Ian MacMillan, Burn Stewart’s Master Distiller” as part of Deanston’s First Whisky Festival. There open day being Saturday the 29th June. We were met by Peter Semple (Visitor and Retail Facilities Manager) who ushered us into the Visitor Centre for our first dram and to meet the other guests for what we all expected to be an exceptional evening. Peter was in charge of the evening, he ensured that the dozen guests were shown into the tasting room and finally into the dining room, he was also in charge of making sure that our glasses were kept charged. 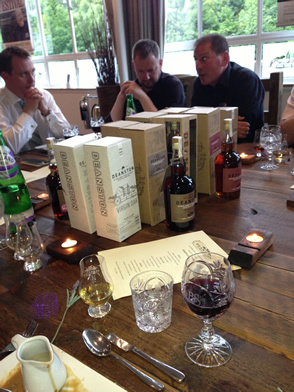 The proceedings began with a tutored tasting session by Ian. 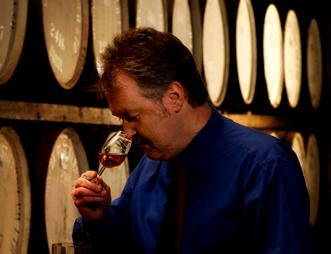 Ian talked through the complexities and subtleties of the following Deanston expressions. Ian MacMillan was a very engaging host regaling tales of many organic characters that have influenced and coloured his 40 year career within the Whisky Industry. 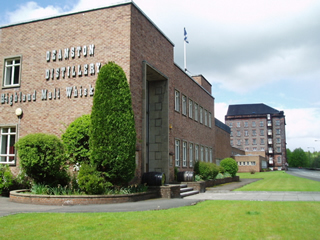 When Ian joined Deanston many years ago he found the distillery tired and in need of not only a physical overhaul, but also a change in Whisky making practices. There was a conscious decision to only use local barley and to keep the product as true and as pure as possible, hence the reason for not chill filtering. Ian explained how he had experimented with the types of barrels for the Spanish Oak, Toasted Oak and Virgin Oak. 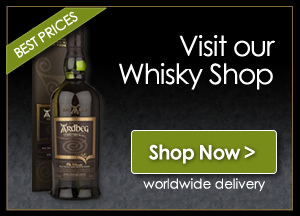 It was noted that these expressions can only be purchased from the Distillery and are limited editions. The hospitality extended to a delightful, informal four course dinner of local produce matched with Deanston expressions which included a new Deanston Aged Organic Single Malt . The final dram was Deanston’s oldest a 39 year old (a second fill Oloroso, distilled in 1973). The Whisky banter around the table was wonderful and we could have sat until the wee small hours sharing stories. Tasting quite a few expressions from Ian’s “stock” he has ensured that the Whiskies he has made and controlled fit into the Deanston “character” or as Ian puts it, his Perthshire drams, the style of Ian’s Deanston Whiskies are, lightly oily, sweet rich honey, nutty, vanilla toffee. After tonight Ian is not only a Master Distiller he is also a Master Storyteller. It was a delight and a privilege not only to have a tasting session and dinner with Ian but to enjoy some exceptional Whiskies and superb company. One thing that Ian left us all with is that he is well aware of the fourth ingredient in Whisky and that is – The People Who Make It – The Whisky Boys could not agree more.